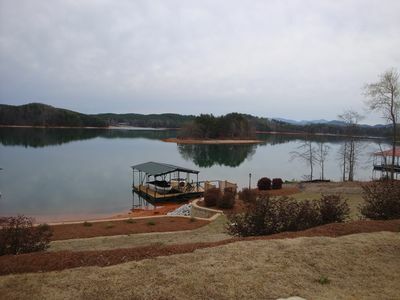 Located on beautiful Lake Keowee in Seneca, South Carolina. 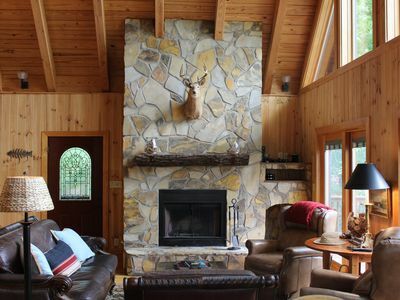 This peaceful relaxing home is your ideal vacation getaway and just 30 feet from the water. 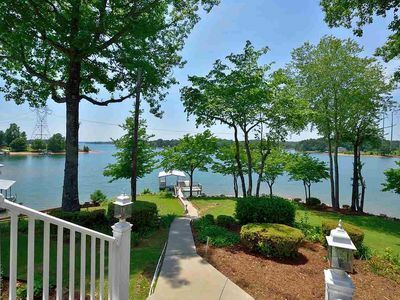 Gentle sloping walk makes your trips to the waters edge easy. 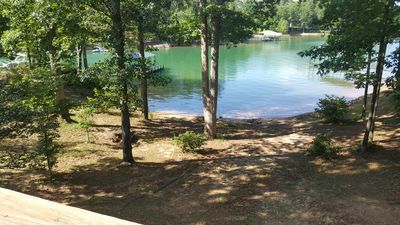 Your boat or jet ski can easily tie up at the property beach area or at the dock at the point of property, where swimming can also be enjoyed. 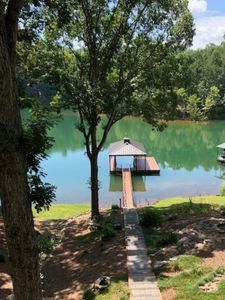 Grill out on the covered porch and dine comfortably down at the picnic table under shady trees while enjoying the emerald green waters of Lake Keowee. 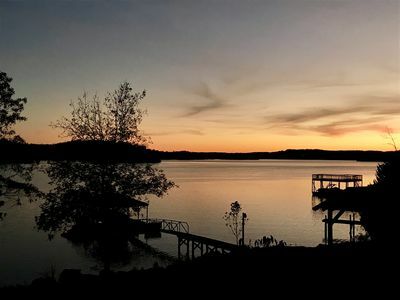 Voted one of the cleanest lakes in the southeast. 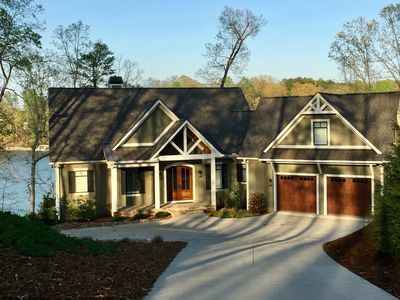 Several Golf courses in the area as well as nice Restaurants and Cinemas and of course Clemson Tiger Football! 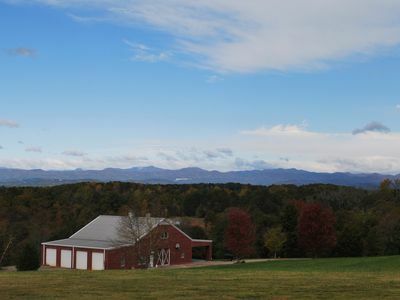 Located just a short drive to breathtaking views of the Blue Ridge Mountains. 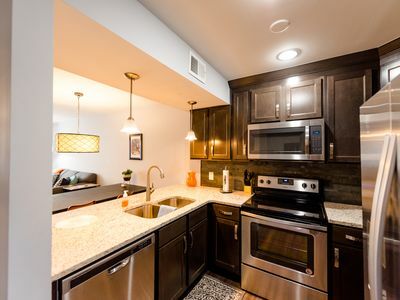 The kitchen and dining room area are designed with an open floor plan. 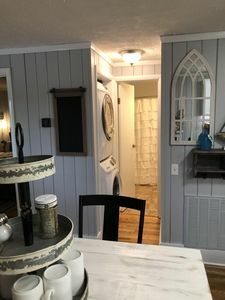 The kitchen is fully equipped and designed with convenience in mind and flows ever so easy into the living room area allowing all the family to be able to converse with each other whether you are in the Dining room, kitchen or living room. 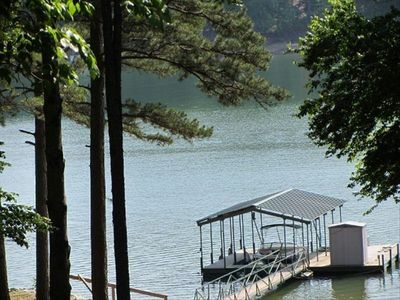 You will find that the covered porch with Grill, Chairs and tables is a great place for family to hang out, play games and make wonderful memories while enjoying the lake. 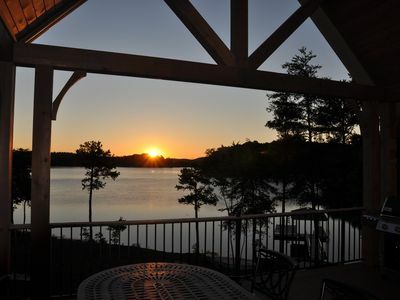 Lake Keowee offers 18,500 acres of emerald green waters, and beautiful waterfalls. 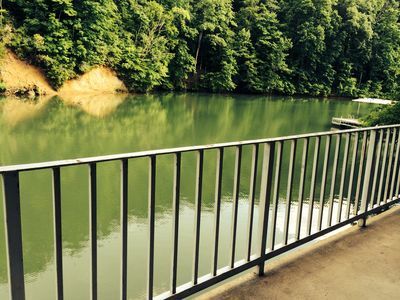 Most convenient boat ramp is only a couple of miles from home at High Falls County Park. 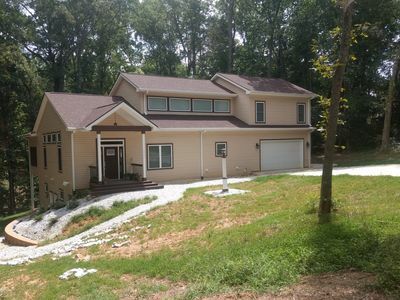 The home features 3 Bedrooms, 2 Baths, Laundry Room, Fully Equipped Kitchen, Dining Room. Living Room. The does not have Internet but has Digital TV. There is a 3% Credit Card fee that will be deducted from deposit at end of rental before deposit returned. 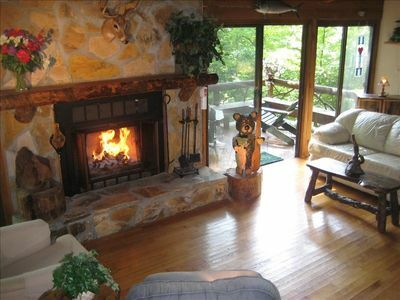 Lake Jocassee Mountain Lakefront Home -- Directly on Lake Jocassee! 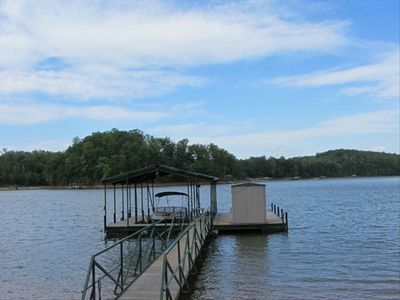 House on Lake Hartwell W/ Dock,4.5 Miles from Clemson Stadium! 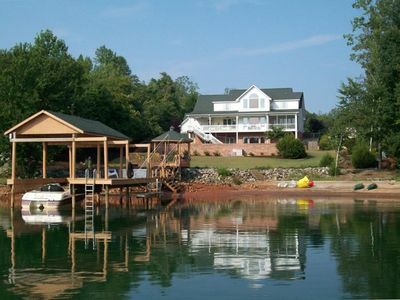 Charming Lake Keowee Retreat, 16 miles from Clemson! 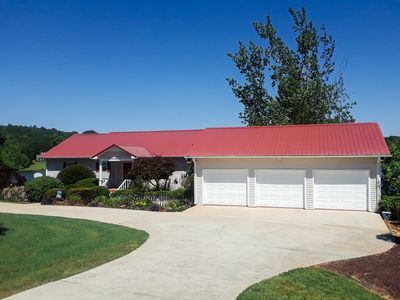 New Listing! Beautiful view of Golf Course! 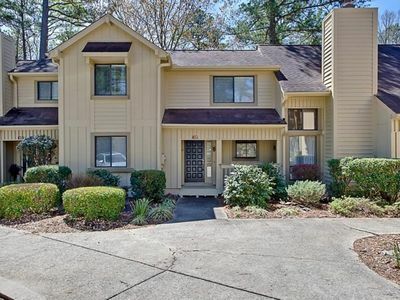 Walking distance to pool and trail! 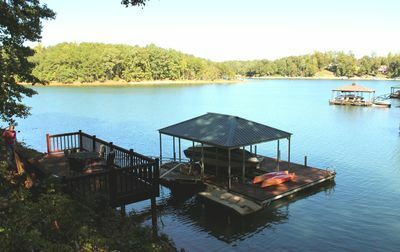 Lake Keowee, SC Lake House with private dock-sleeps 14! !